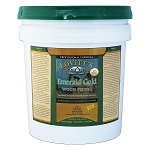 Lovitt's Natural Gold protects and enhances the natural beauty of wood surfaces. 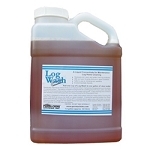 Its' unique blend of premium quality oils and resins penetrate deeply and form a powerful bond within the grain of wood. 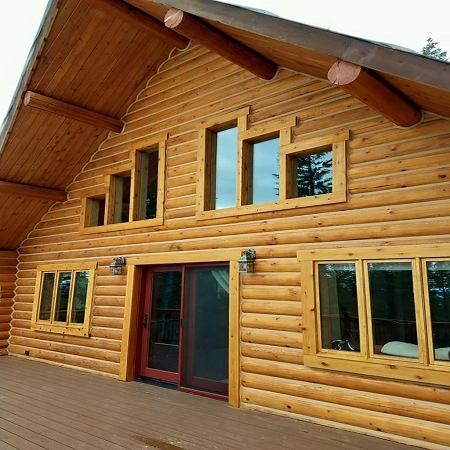 Originally designed as a high performance log home finish, it is equally impressive on siding, decks, fences, and virtually all exterior wood surfaces. This unique formula also contains top grade UV screening agents to add long term resistance from fading and graying while accentuating and enhancing the natural character & grain patterns of wood. 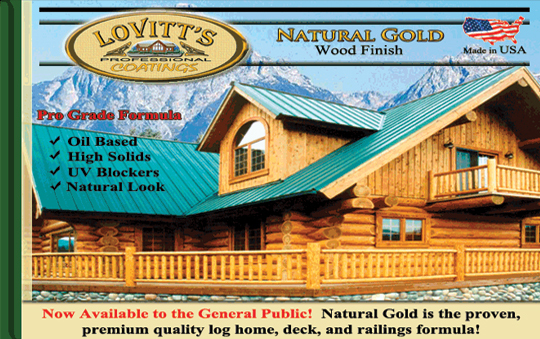 Lovitt's Natural Gold is a great log home stain, I have used it in my job as a log home restoration crew supervisor for the last 16 years. 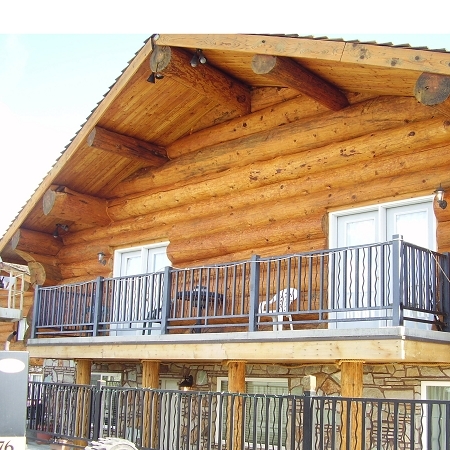 I recommend it to any log home owner who is looking for a high quality, high solids, oil-based penetrating stain. 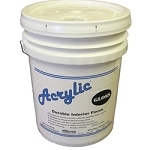 It accentuates the grain nicely, is long lasting, and easy to wash up and re-coat a few years down the road when the time comes. I highly recommend it, five stars definitely! 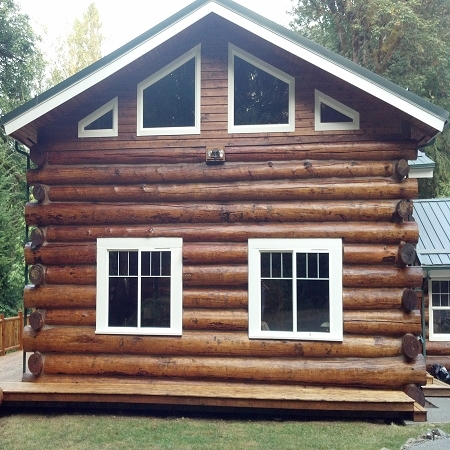 I'm really impressed with the Lovitt's stain, the products we used to restore our log home worked perfect! 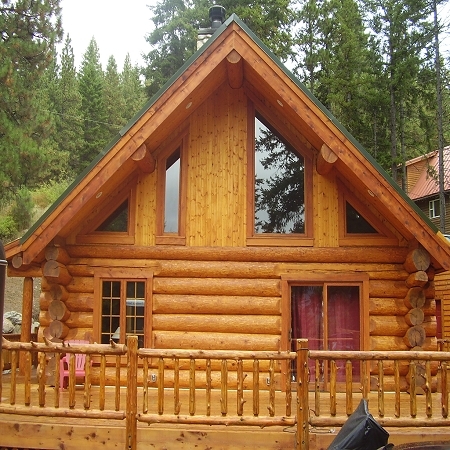 It was easy to apply, I can't even begin to tell you how many compliments I have received about our log home! now it looks great! 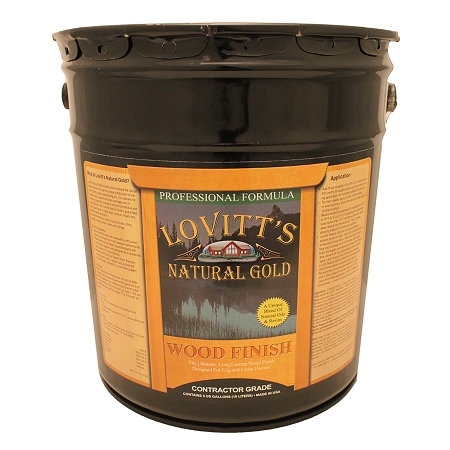 I love all the Lovitt's Natural products. The customer service is outstanding. I highly recommend theses products and company!